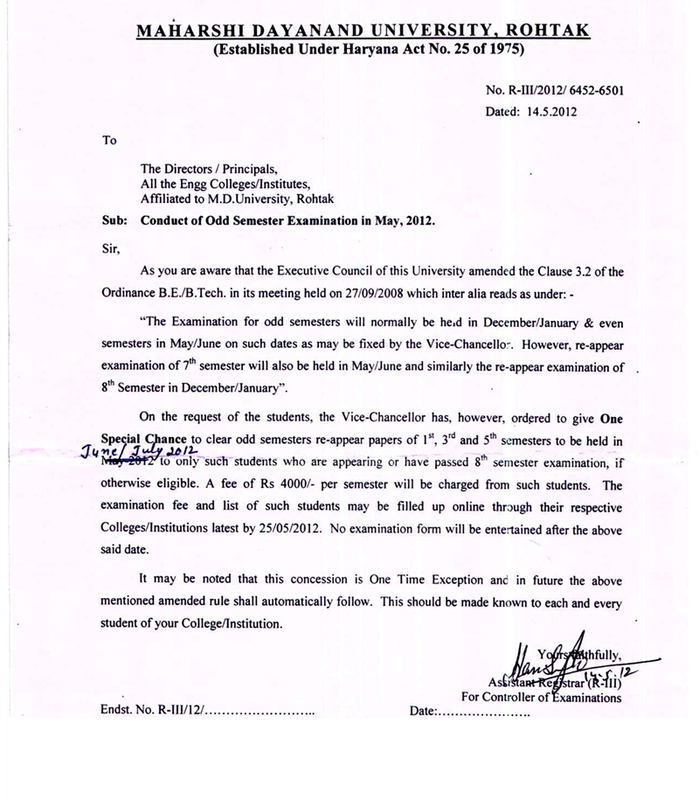 On the request of the students, the Vice-Chacellor has, however, ordered to give One SpecialChance to clear odd semesters re-appear papers of 1st, 3rd and 5th semesters to be held in June /July 2012 to only such students who are appearing or have passed 8th semester examination, if otherwise eligible. Revised Date-Sheet B.E. / B.Tech.